Equipment layout of the ship can be seen at 0:27 of the video. ROKS Nampo is the first in class of four to five ships of MLS-II class minelayers. 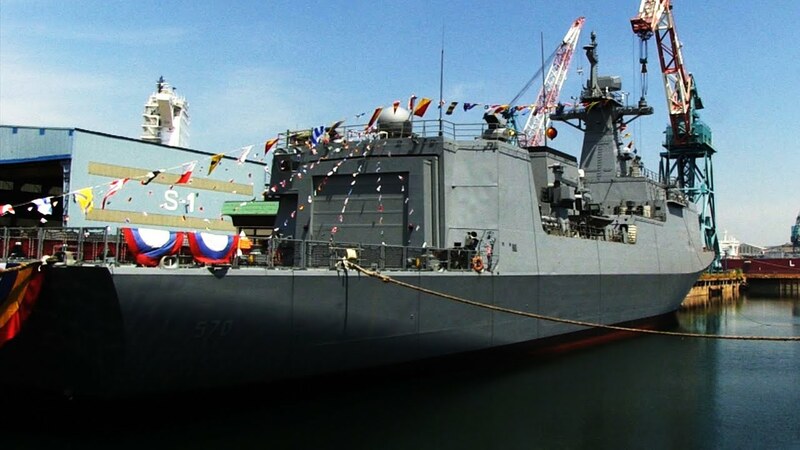 The MLS-II is outfitted with the full sensors array of the FFX frigate in addition to a more advanced submarine and mine-detecting equipment and countermeasure suite. 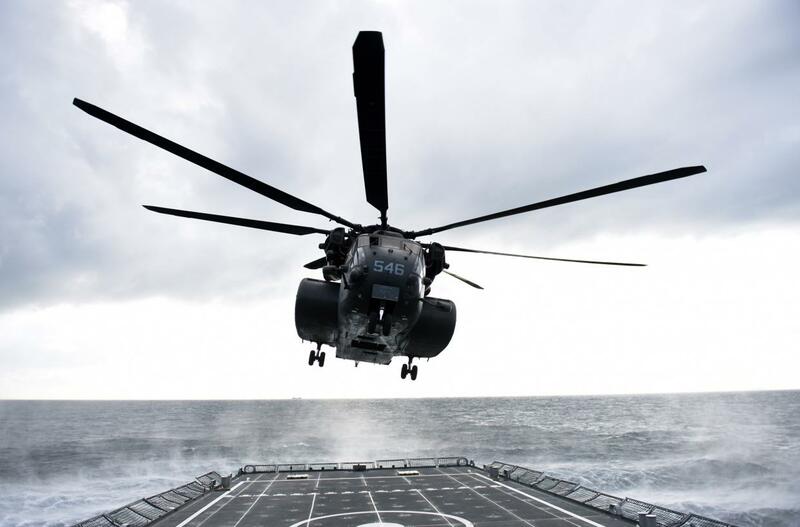 The ship is installed with a K-VLS package at the back of the helicopter hangar that can arm 'Sea Bow' SAAM interceptors to provide anti-air warfare defense capability. Last edited by Ambassador; 28-05-2015, 03:19 AM. 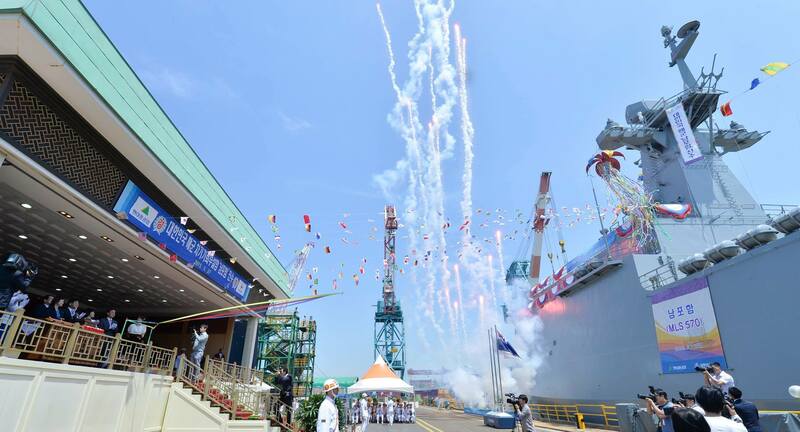 MAY 26, 2015 — Hyundai Heavy Industries (HHI), the world's largest shipbuilder, has launched MLS-II Nampo, its second minelayer for the Korean Navy. Last edited by Ambassador; 28-05-2015, 03:52 PM. 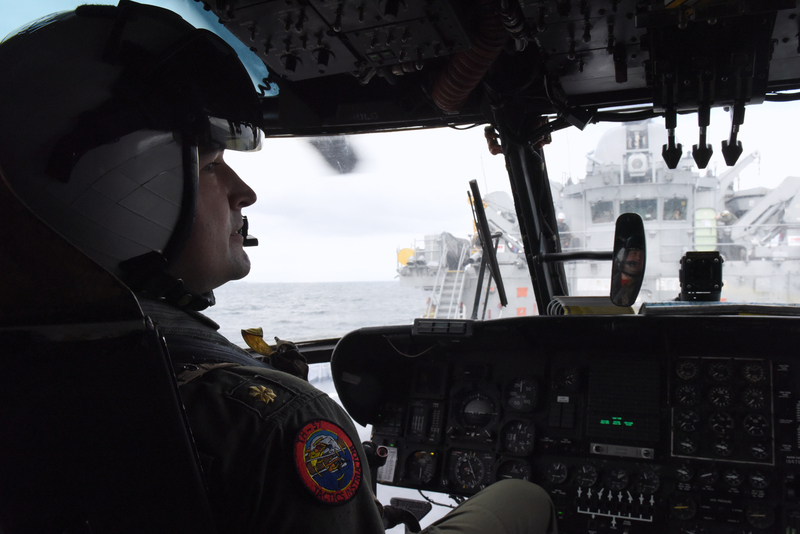 You can use these pictures, taken by the ROK Navy, from the ROK Navy Facebook page. But only if you do so with: https://creativecommons.org/licenses/by-sa/2.0/. Last edited by Ambassador; 19-07-2015, 11:16 AM. 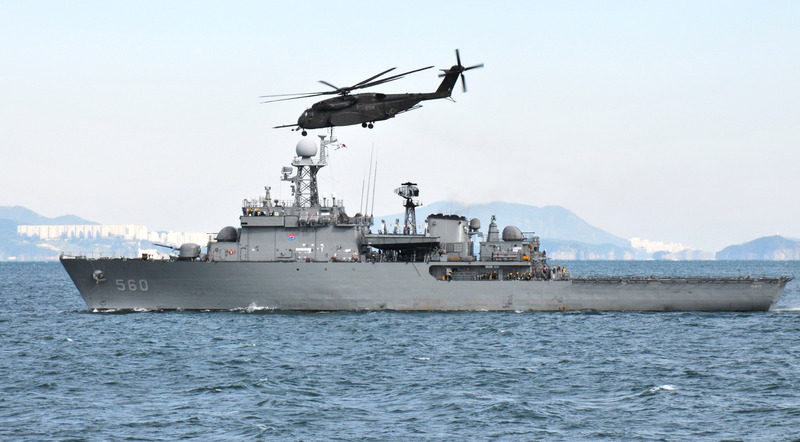 A new kit for ROK Navy's mine warfare ships. Obviously from ADEX 2015. It's been about a year now since the first steel cutting ceremony for the lead boat in the KSS-III class of subs. Any further news? How is construction coming along? -Even its length, breadth and displacement are still being disputed. My understanding is that the dimensions as reported on sites like xav's Navy Recognition are the most accurate (length of 83.5m, breadth of 7.7m, which would imply that the submerged displacement of KSS-III is closer to 4,000 tons, in line with rough scaling assumptions using data points like the Collins, Soryu, and the disclosed description of future designs such as the 216 and the conventional Barracuda). There are also different dimensions for KSS-III floating around on the web, for a 78m-long, 3,000 ton sub. However, I suspect this is a much earlier version, because it is labeled "DSX-3000", which indicates to me that this is an old proposal from Daewoo Shipbuilding from years back, when they were still competing with Hyundai for lead boat honors. Do you think I am correct in my surmise? -Any confirmed info on the weapons load and the launch systems, both horizontal and vertical? Will the vertical launch system consist of a vertical multipurpose lock? 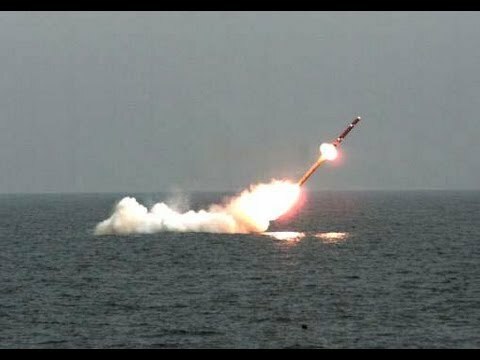 There have been recent stories on the US approval for the sale of submarine-launched Harpoon Block II missiles to South Korea. Are these intended for the KSS-III or the Son Won-Il 214 class, or both? -How about the propulsion system? Lithium-ion batteries in the lead boat or not? AIP or not? Range of ~10,000 nm confirmed? By way of contrast, there is a tremendous amount of public information and discussion on the minutest details of the new Australian sub, and that hypothetical boat is still only in the tender stage. 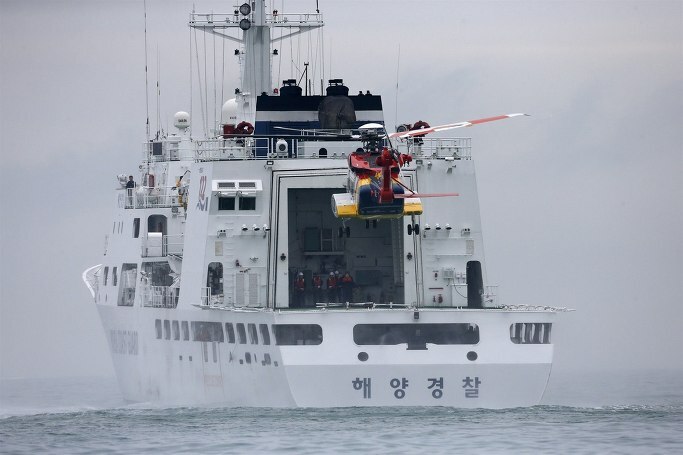 Is there more detailed information on ROK Navy matters on the Korean language web that English speakers are unaware of, or do you think the South Korean government is generally less forthcoming with regard to information on military kit? Hi. First off some of your questions may fall under OpSec so an ordinary person like me may not have very much insights into it. But I'll answer them to the best of my knowledge based on available information. In Marine Week 2015, the ROK Navy booth put up a wallpaper with an information that the first KSS-III ship had its keel laid at DSME shipyard in November of 2015. It is due to be launched in Fall of 2018. Three vessels will be commissioned into the Navy by 2023. These three vessels represent the Batch I ships of KSS-III that will be built by DSME. And I may have already brought this news here before too, but there is a Batch II program that came up immediately afterwards that began in 2014, whose detailed design phase is already underway. 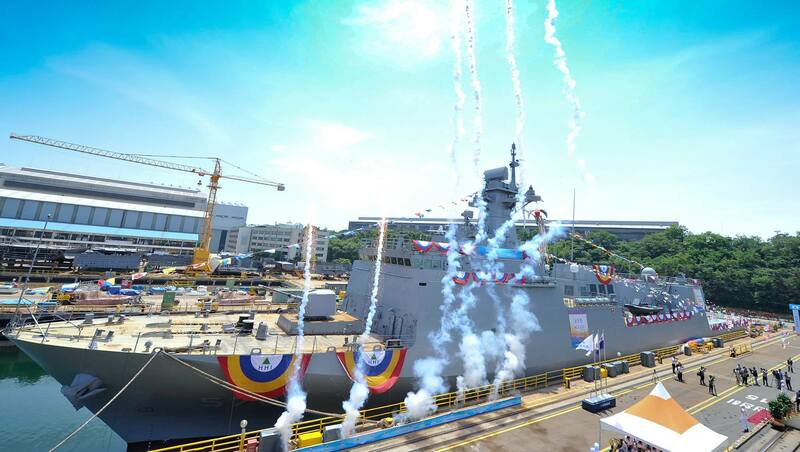 For the Batch II program Hyundai Heavy industries will design and build three Batch II vessels for $2.8 billion (there is a typo in the source). Relevant information are here from a 2014 article. During its council meeting, the DAPA also approved a batch II plan to build three KSS-III subs beginning next year. The batch II subs are to be constructed by Hyundai Heavy Industries for some $285 million, according to DAPA officials. The batch I project for the first three ships was approved in 2012 with the contract awarded to Daewoo Shipbuilding & Marine Engineering. These are larger vessels with double the number of Vertical-Launch Multipurpose Locks from Batch I. The source is a premium(?) local news article with no English translation available yet, but I regard it to be reliable. It's 'premium' but you can probably view it freely right now. Well, it's because foreign outlets often do not have much coverage of defense exhibition events happening in Korea, unless they are a dedicated defense analysis institute. Most local outlets are also too lazy to give detailed information of defense programs in English language. They'll merely mention KDX-III ships as 7,600-ton warships and likewise the KSS-III subs as 3,000-ton submarines, for example, for simplicity's sake (one thing I have realized is that local English news about ROK military stuffs are most certainly not handled by defense experts; the only person who comes close to that with fluent English journalism is Mr. Jung Sung Ki, who work for DefenseNews... which is a foreign news company. See what I mean. But you've got TheMess where Korean members will translate stuff for ya from local defense communities, so no worries). Actually, these figures fully correspond with the original dimensions of the KSS-III Batch I submarine given by the Navy a few years back (who is more reliable when it comes to its own weapon systems than their manufacturers) at its Naval Museum. So unless the Navy put up the wrong model for exhibition at the Marine Week 2015 event by mistake again, I'd consider these dimensions to remain mostly accurate. We'll know for sure when the vessels are launched, though these figures are already most likely. On a side note, those figures mean that the KSS-III is wider than the Japanese Soryu class submarine (wider by 0.5 meters), while being a bit shorter. I believe this stockier build of the Korean submarine to have resulted from accommodating a VLS on a conventional submarine design, compared to the hunter-killer Soryus who have a massive torpedo loadout in its own right, but no VLS. Meanwhile, the KSS-III is also significantly larger than the Australian Collins class submarine - 6 meters by length and 2 meters by width. Again, these changes put into consideration the fact that the KSS-III needs to accommodate VLS cells. The currently confirmed armament of Batch I submarines are six 533mm torpedo tubes and six 'VLS' cells, which are multipurpose locks that can launch Unmanned Underwater Vehicle and other devices as well. Its main armament will be long-range land-attack cruise missiles -- including a supersonic cruise missile. The Harpoon Block II missiles are armed on horizontal torpedo tubes, and are compatible with both KSS-I, KSS-II and also the KSS-III. But I'm expecting the KSS-I to be its primary user which have not been integrated with the domestic Hyunmoo Submarine-Launched Cruise Missile. There are also some info about submarine-launched guided mines and guided supercavitating torpedoes, but I will talk about them in a more dedicated thread. 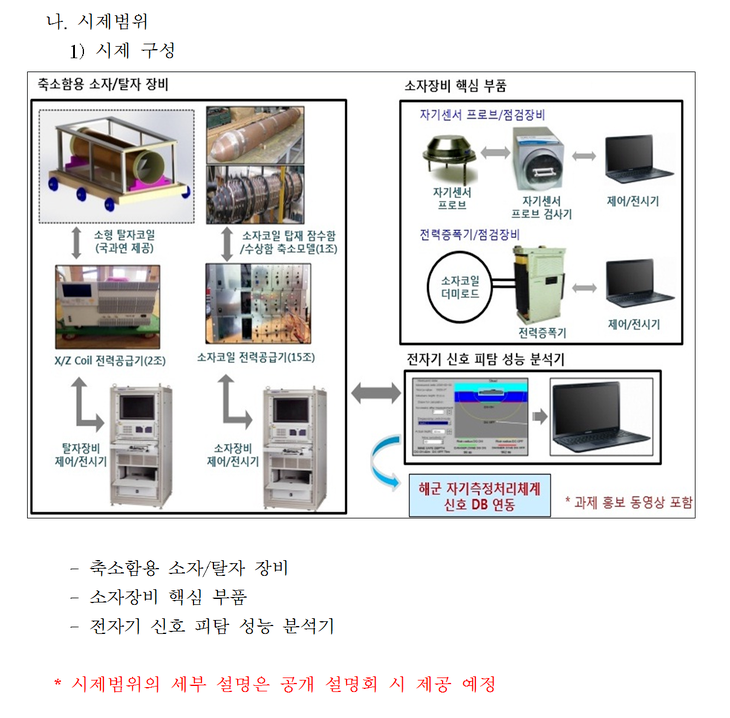 The latest information from the Korea Electric Research Institute indicate that the Batch 1 are first using lead-acid batteries. The first batch of submarines need to validate the stability of the sub's other design elements, so they chose to go with the the familiar lead-acid battery + fuel cell combination to provide power for the first batch. The Batch 1 submarines will use 600 of 500-kg lead-acid battery modules for energy storage. The question of fuel cell is another matter from the lithium-ion batteries; the Land-Based Testing Site (LBTS) has the Batch I land model's fuel cell module already added to it to provide Full Electric Propulsion System. This will explain why the sub has such a long length with only a crew of 50. 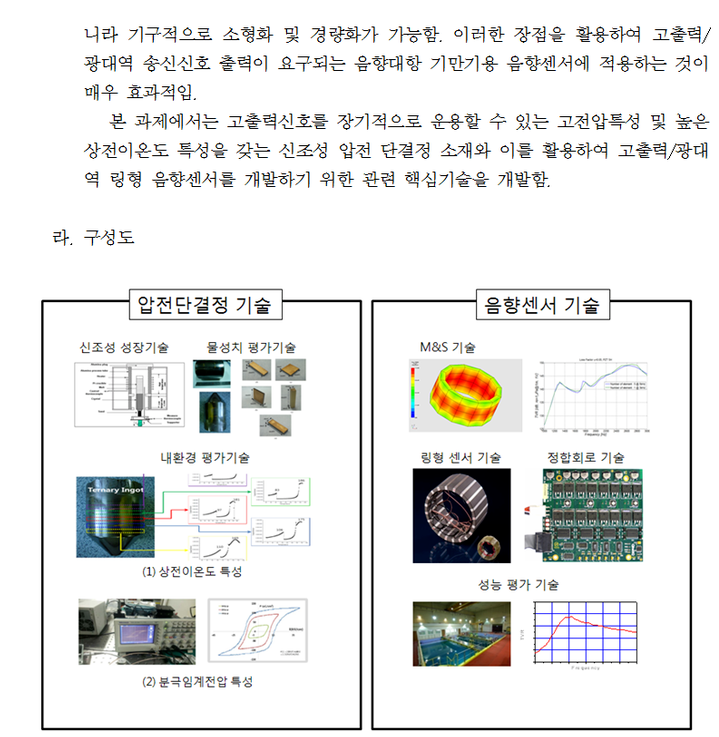 What we are not yet sure of is whose fuel cell it is using and when it will be added to the actual vessels; though the current equipment used to simulate the fuel cells on Batch I are currently Korean made. Proper translation of the highlighted part: The service is eventually turning to propulsion system using electric energy. This is why the submarine is called 'Full-Electric'. 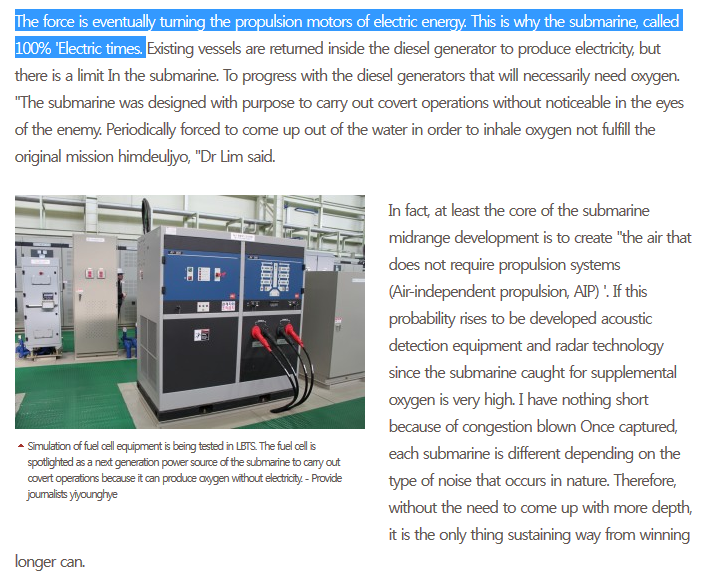 Additional explanation the article puts forward for the layman viewers: By using fuel cells to provide electric power, the submarine differs from traditional diesel-electric conventional submarines originally used by the Navy. This is called Air Independent Propulsion. In this illustration below showing the setup of the LBTS, the red figures are lead-acid batteries; the green figures are fuel cells. Meanwhile, I can also say with great amount of certainty that the succeeding vessels of KSS-III will all use lithium-ion battery packs produced by Hanwha Techwin and Samsung SDI, which were both shown at ADEX and Marine Week events. Information about them are at the HDS-400 mini-sub thread. Eventually, nine KSS-III Batch 1/2/3 vessels will be commissioned into the ROK Navy submarine fleet in 2029. This will represent an attack force of 27 conventional submarines including Type 209 KSS-I, Type 214 KSS-II, and KSS-III, in addition to three HDS-400 Batch I small submarines. See my post a few quotes above. Also, another key difference between the two submarine projects would be that the Australian submarine project is an international tender, meaning that it would need to disclose more information to the public for the purpose of scrutiny and negotiation of various proposals (both from the Australian side and the international bidders). 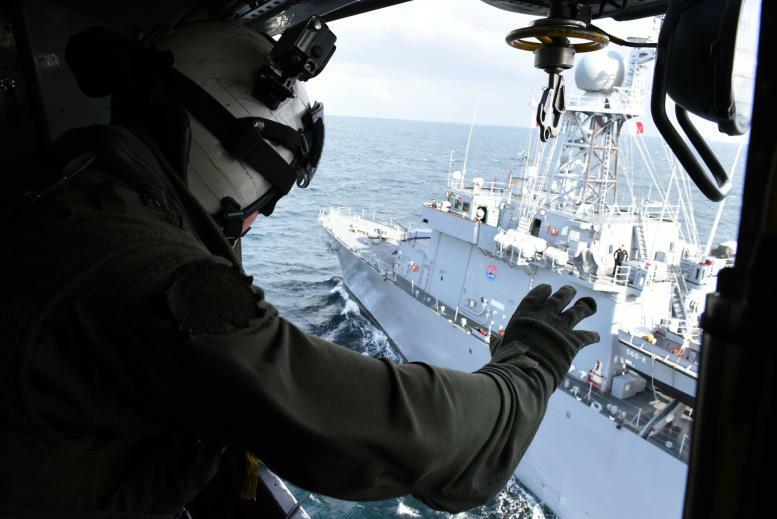 On the other hand, the Korean project is largely a domestic program, and thus can afford to remain under greater amount of secrecy when dealing with essential components that will be mostly procured domestically in order to safeguard national secrets about the Navy's most important procurement program (especially regarding homegrown capabilities with distinctive strategic importance, such as domestic weapon packages like the VLS and what goes into it). Take a look at the Japanese as an even better example of that. Everything about their next-generation subs are pretty much confidential beyond what Mitsubishi has revealed for their occasional conference with their prospective Australian buyers. Anyway, I will post pictures taken by another person from the ROK Navy exhibition booth to validate some of my points (these are all official ROK Navy info anyway). I will just need to recreate the KSS-III thread first. Last edited by Ambassador; 12-12-2015, 02:48 AM. Thanks for this, Ambassador. And, yeah, you should put this into a different thread; this is too interesting to be buried in the ROK minelayer thread. -This is a 3700-ton (submerged) boat with relatively long legs, with a potent land-attack capability (6 VMPLs). The more I think about it, the more the concept strikes me as a Korean interpretation of a scaled-down, conventional-propulsion Virginia-class. -It costs roughly a billion dollars apiece. Nine boats in three batches are contemplated by 2029. -The first batch of 3 boats will be the familiar fuel cell AIP configuration, but subsequent batches are likely to dispense with the fuel cell-based AIP and go with Lithium-ion batteries to provide air-independent power generation. -A crew size of 50 implies that state of the art concepts of operational efficiency and crew streamlining will be implemented from the start of the program. -With regard to weapons: is there one model of the Hyunmoo cruise missile which can be tasked for either land-attack or anti-ship purposes, or are there two separate mission-specific versions? Is the Hyunmoo the supersonic missile that you refer to, or is that a separate weapon? -Do you think Batch I will be fitted with anechoic tiles on the hull? -In my very untutored opinion, we have a lot more information about Japan's Soryu program than we do about Korea's KSS-III, but that may be because, as you say, the Japanese are participating in the competition Down Under. Really good stuff from the ROKN. I would love to see a CGI of the current design, or better yet, something from one of the scale-model kit manufacturers. Btw, this also includes the R&D cost in the total program so the actual per-unit price tag is going to be a bit lower. 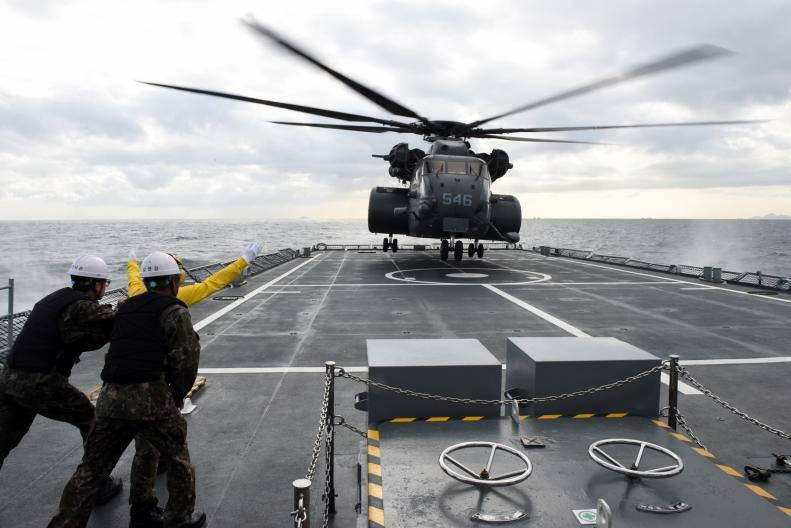 The $2.8 billion for Batch II will cover the batch from its initial development to its going into active service with the ROK Navy. This is Hyunmoo-3. It's a subsonic cruise missile. 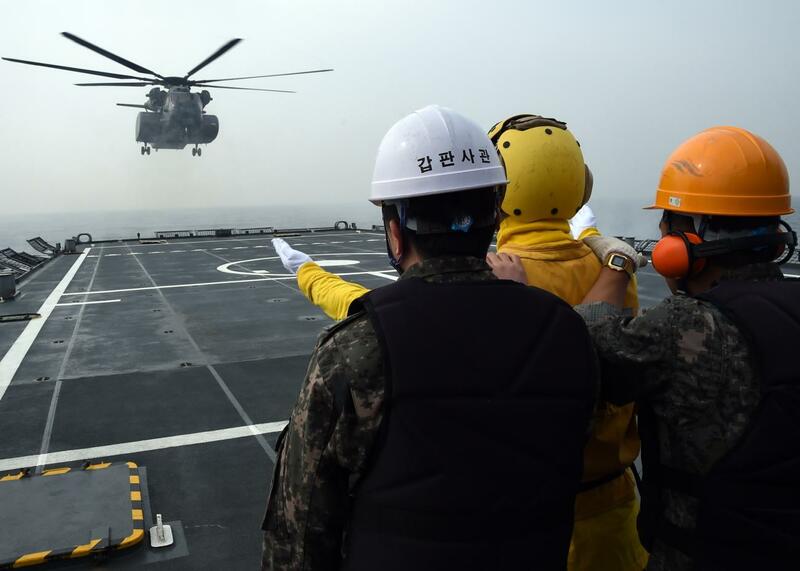 It has been in operation with the ROK Navy for a while now. The subsonic Hyunmoo-3 cruise missile is a singular missile design whose variants are solely modified for land-launch, ship-launch and submarine-launch modifications. Otherwise, the subsonic missile has only land-attack capability. You can imagine Hyunmoo-3 as an analogous system to the American Tomahawk missile, that was developed indigenously by Korea after the United States did not approve the sale of Tomahawk to the ROK due to various 'diplomatic reasons' (the United States so far sold only one type of cruise missile to the ROK: the Harpoon and its air-launched Extended Range variant (which is also called the SLAM-ER). More recently the potential sale of JASSM to ROK was turned down at the US Congress as well owing to similar reasons). The Hyunmoo-3's keynote difference from the Tomahawk is that it retains an Imaging Infrared (IIR) seeker, improving accuracy against camouflaged or moving targets without needing AWACS/satellite link-up (but at the cost of being more expensive per unit). Afaik, Most American Tomahawks today do not use IIR to save cost while leveraging sensor-shooting capabilities. Likewise, the choice of Hyunmoo's seeker puts into consideration the fact that the ROK military does not have the benefit of global battlefield surveillance assets to the extent that the US military has; this will eventually become an important factor in determining a long-ranging South Korean submarine's ability to effectively strike inland targets from far afloat. Meanwhile, the supersonic cruise missile that will be used by the KSS-III sub, and also by other navy ships, is called the Haesong-3. Aside from mandatory platform-specific variants tailored to each launch platform (land/ship/sub-launched), there are two different attack variants of Haesong-3. This is because their sensor fits are different according to mission profile: the land-attack variant has IIR seeker with pre-mapped GPS guidance, and preferably use cluster or other HE munition, while the anti-ship variant is radar-guided as most other AShMs with an armor-piercing warhead. 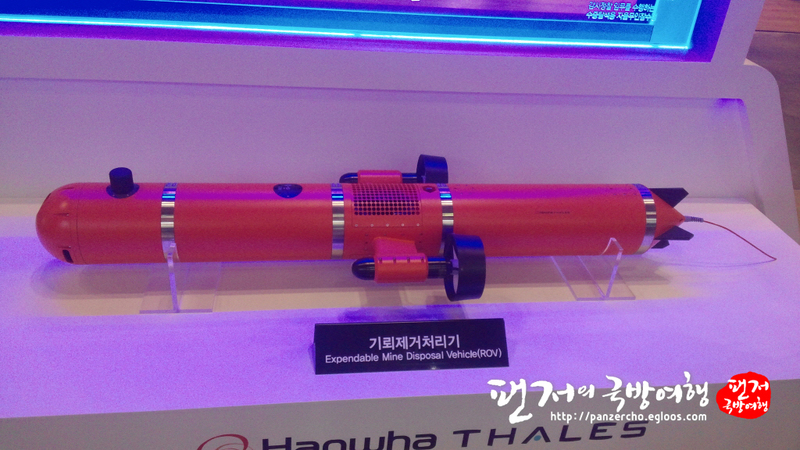 There was a seeker-and-warhead design exhibited by Hanwha at Marine Week for the Haesong-1 missile which illustrates this particular example, that I'm going to post in the thread for KSS-III. Yes. 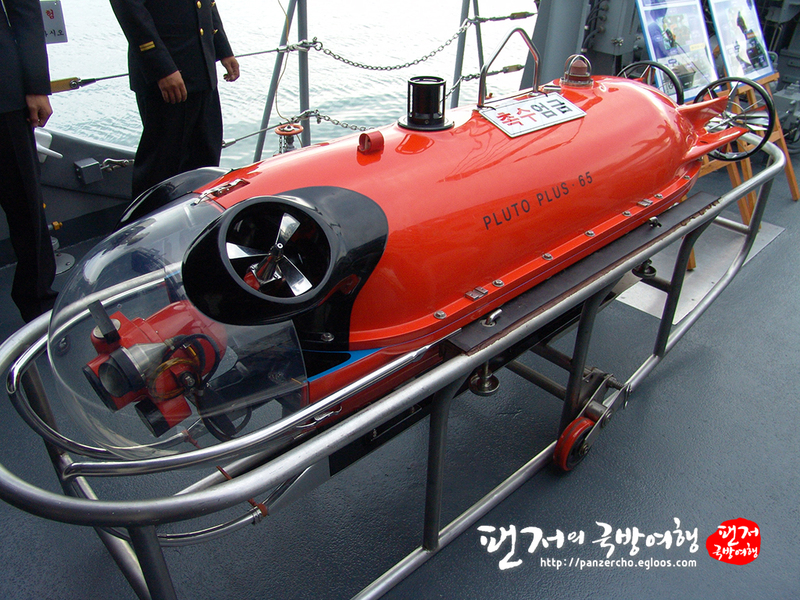 Some of that technology are probably already applied on Hyundai's new mini-sub. The control and reduction of the magnetization of naval vessel is important technologies for safety against torpedo and sea mine installed magnetic sensors. In general, we used to conduct as a magnetic treatment for permanent magnetization reduction and to compensate induced magnetization using on-board-degaussing system for the naval vessel’s magnetic stealth. Navies have operated magnetic treatment facility in order to protect from sea mines. 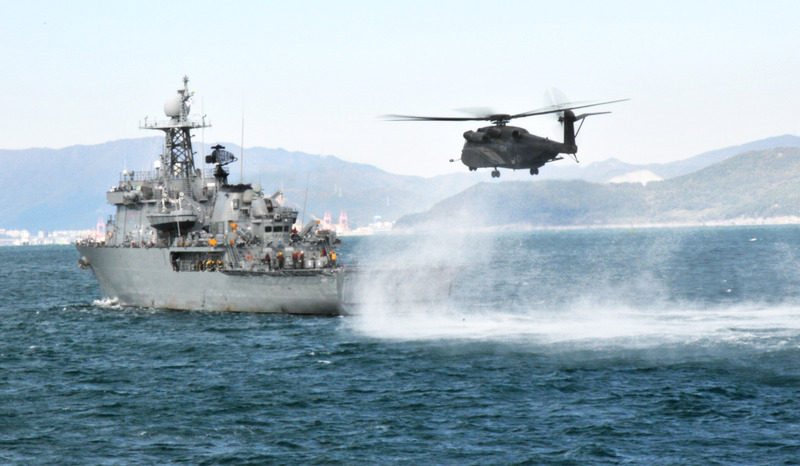 LIG Nex1 Corp. has developed the magnetic treatment facility for the korea navy. The last paper by LIG Nex1 is also important for the Nampo class 'stealth' minelayer of this thread. And the fact that Soryu has been in service for quite some time now. The Japanese also have substantial info on their next-gen sub in Japanese language that I used to post a lot at MP.Net. Perhaps that subject should be rebooted too someday. Lithium ion batteries don't "generate" power but store it more effectively than old style batteries. So technically, while on the same performance level as a AIP boat, a lithium ion boat is a conventional diesel electric boat, not an AIP boat. I wonder why navies are so slow to adopt lithium ion batteries. Sure they are somewhat dangerous but so is hydrogen for fuel cells. "In September 2011, South Korean defense officials confirmed the development of a supersonic cruise missile based on the Haeseong I anti-ship missile, called the Haeseong II. The Haeseong II is designed as a ship-to-surface cruise missile that travels faster than Mach 1 that can evade defense systems and accurately strike ground targets, particularly North Korean missile launch pads. The missile was developed without the assistance of the United States and will not be offered for export due to restrictions of the Missile Technology Control Regime. Ships will launch the missile with the installation of vertical and slant launch systems, and strike targets over 500 km (310 mi; 270 nmi) away. There is a version of the Haeseong cruise missile designed to be launched underwater from submarines called the Haeseong III. The Haeseong cruise missiles are believed to have become operational in 2013." It states that the Haesong III is already operational as of 2013. In the late 2020s, with 18 subs (KSS-II and KSS-III) capable of launching supersonic/subsonic cruise missiles in both anti-ship and land-attack roles, plus another 9 (KSS-I) with Harpoon Block II capability, I would say that the ROKN has a very important asset vis-à-vis North Korean conflict scenarios. In addition, it would be a very, very significant augmentation, from the US point of view, to the combined naval capabilities of the US-Korea alliance in the broader Asian context. Last edited by juxtapose; 12-12-2015, 07:56 AM. Quite right. Thanks for the correction. That is what I actually intended to convey, but failed miserably in expressing myself accurately. That's why I used the lower-case, fully-spelled out words when referring to Lithium-ion. I should have said "to provide air-independent power." Full stop. Of course, all batteries provide air-independent power at the time of use, but the implied meaning is obviously that Lithium-ion will provide power on tap for longer without running your diesel, such that AIP is not necessary. I was once told by an old former sailor (probably half in jest) that there is a deep irony at the heart of navies, to wit: a good Navy is a supremely technical military branch that is run by hidebound, deeply traditional and superstitious men. Amen. And mea culpa for being a civvie enabler. I was once told by an old former sailor (probably half in jest) that there is a deep irony at the heart of navies, to whit: a good Navy is a supremely technical military branch that is run by hidebound, deeply traditional and superstitious men. There's some truth to that if you look at the U.S. navy history in conflicts. Exactly how many mines the new minelayer is capable of carrying. I was told Wonsan minelayer can carry 500 mines. Do they carry contact or influence static mine or K701 encapsulated torpedo mines? I'm wrapping up some stuff here about submarines and mines before I go write about KSS-III Batch 2 when the contract winner is announced this month. Visited here while looking for some info about Indian MCMV deals. 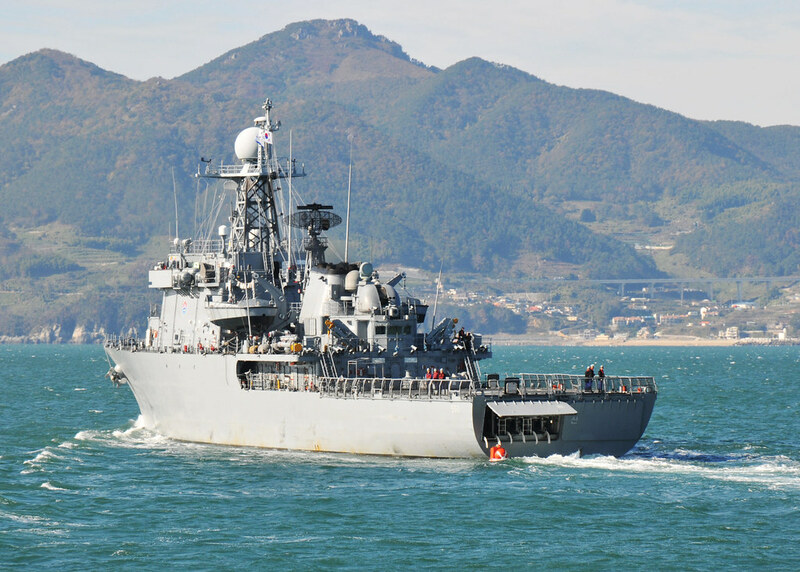 It's more than the carrying capacity of Wonsan class MLS-I. See this illustration of the minelaying system. The mine compartment comprises 3 decks below the helipad. 3 whole decks. It's no wonder why the ship is so heavily defended by 76mm main gun + 16 SAAM for AAW, and hull-mounted sonar + towed sonar array + LWT launchers for ASW. And that's why it's also quite tall: MLS-II has the same length as Hyundai FFX-I (114m), but is 1000 tons heavier due to the extra decks and wider beam. The mine is designated as K721. It's an encapsulated guided torpedo mine that can target submarines too (has 272 kg of high-explosives iirc). 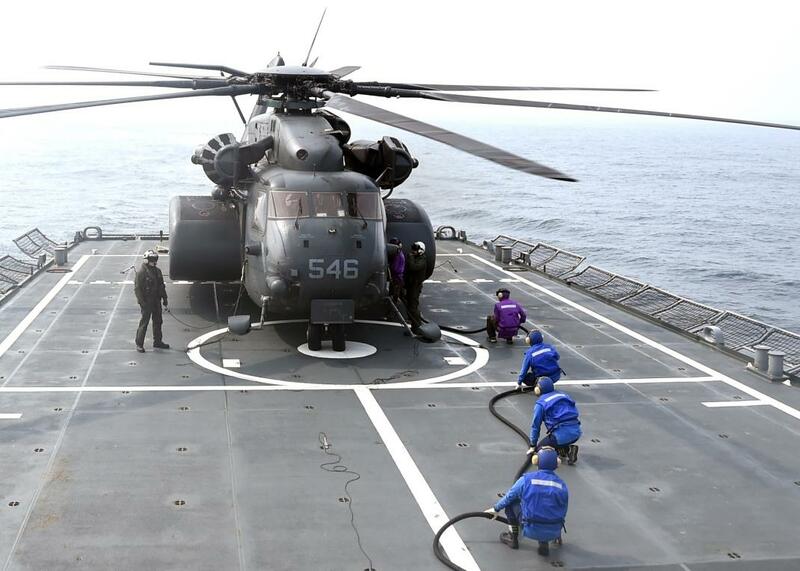 With Nampo class MLS-II, large helicopters like MH-53E can not only land but also be secured in the hangar as well. 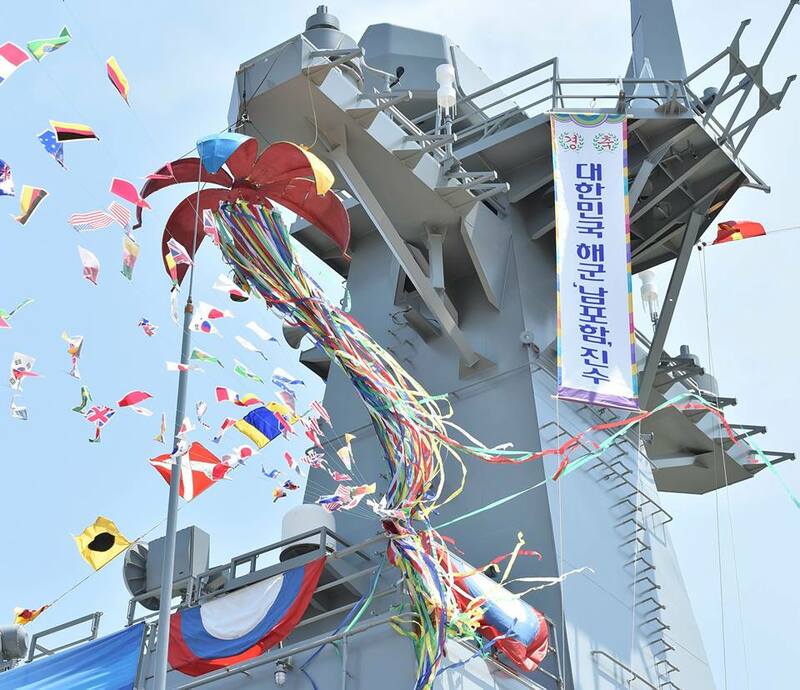 Wonsan MLS-I was based on the first Ulsan class frigate and therefore did not feature a hangar. I believe Nampo's hangar was built to the dimension of a S-92. That ship's smaller than MLS-II but larger than FFX-I. You can examine the difference in hangar size between MLS-II and FFX-I from their videos. More details about these will be posted this month. I find it very likely that Hyundai will now win the KSS-III B2 order, but who knows. Then in October 2016 I will talk about Japan's 4,700t 29SS (launch in 2020) and '40SS' (2030/31) as well, that didn't get to enter the negotiation table at Australia's SEA1000 due to developmental time constraints of systems waiting to be tested by JMSDF. These subs will equip new Japanese conventional sub technology (As you know it includes metal hydride fuel cell using water itself as catalyst. It has many times the power density of PEM fuel cells currently used by Germans and Koreans (German AIPs have also been previously recorded using metal hydride for experiment, but production-model German Type 212s and Korean Type 214s seem to use gas... and this seems to be the industry standard) -- no wonder Japan is pursuing that, but it takes time for this tech to mature for later boats), in order to match China's progress in the construction of advanced nuclear submarines and their own LiB/AIP submarines. These boats will be the mainstay of Japan's submarine fleet from the 2020s to 2030s until in 2040 a new boat called 52SS enters the waters which can now be anything. Meanwhile, this may come as a surprise but South Korea has taken the first policy-defining steps to study the option of nuclear-powered submarine instead of conventional design for a submarine class after KSS-III B3. The reason for this change in policy direction is due to NK's SLBM launches in May 2015 and April 2016 that continues to grate on the integrity of ROK's 'nuclear' deterrent. As NK continues down that path, there is a rapidly increasing likelihood that the ROK government will begin investing in SSN to cover a wider envelope of emerging nuclear threats. I will also link to a US study to corroborate this particular aspect of South Korean submarine program. P.S. The 'use salt water as your fuel' thing is known to Australian submarine engineers as well. This appears to be the same piece of AIP tech that Japan is trying to commercialize for submarines -- in current fuel cells water is the waste product of energy production, but in the newer fuel cells it becomes a recycled source. there were developments when I was involved into using salt water as part of the hydrogen conversion process for fuel cells. IOW the ocean became your fuel tank. P.P.S. In that post he also talked about US Navy's work on HTS motor, the same thing that South Korea is trying to apply on submarines. 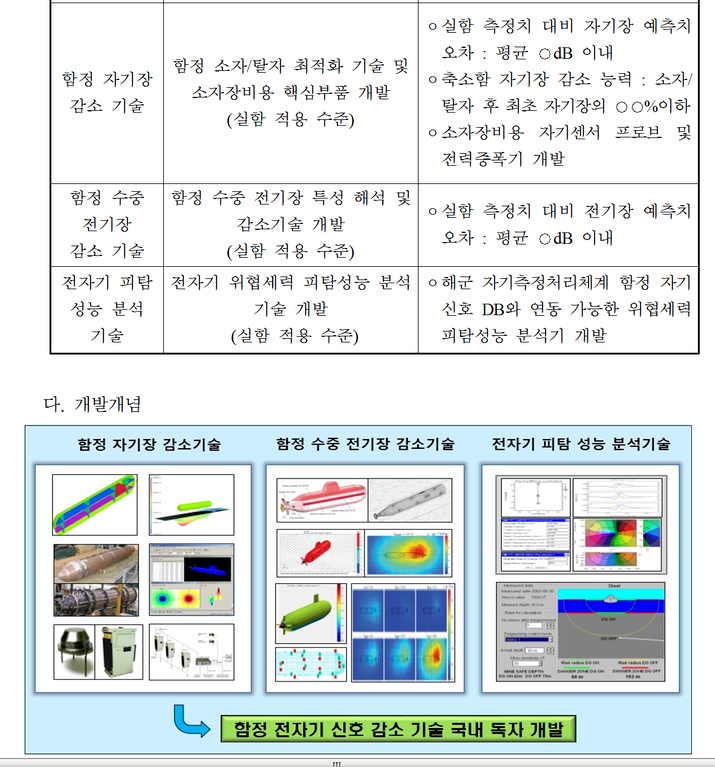 The key technical barrier Korea has to solve before application on electric boats, is how to make it work with conventional propulsion as it does with nuclear propulsion. The US Navy HTS motor prototype was for a 36MW engine; no way a conventional sub has that amount of power, though nuke boats and surface ships do. So Korea has to aim for something a lot smaller. I don't know whether that makes it easier or harder, however. Well I admit I'm not very technically informed on the engineering matters, but it seems from a policy point of view that both countries are researching various methods to increase the power density of their current conventional propulsion systems to overcome size and power constraints of conventional sub designs (as well as safety in case of hydrogen fuel cell). Japan is trying to improve fuel cells while Korea wants to commercialize HTS motor. Last edited by Ambassador; 30-04-2016, 08:42 PM. 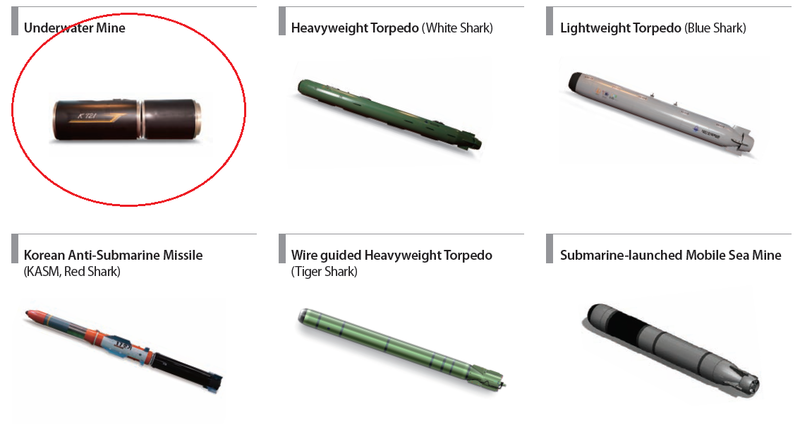 #Ambassador: is there any significant difference in performance / lineage between the Tiger Shark and White Shark torpedoes (which I assume performs almost on par with the MK48?)? Music to my ears. 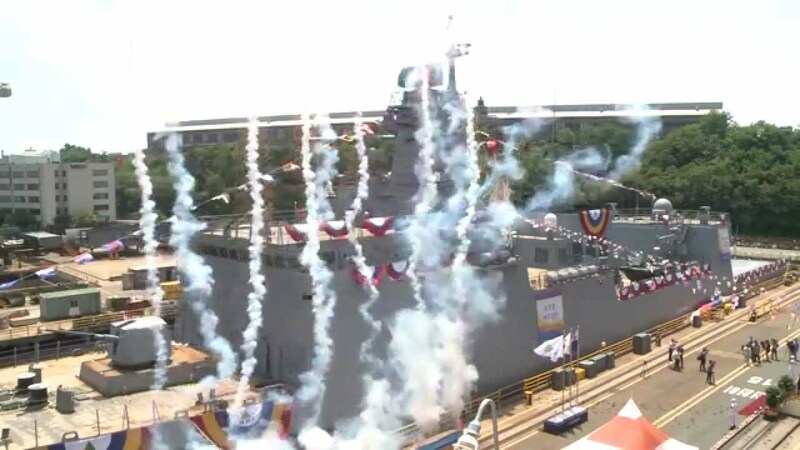 I hope they start that KSSN-1 (I hope it's loaded with VLS dakka) project ASAP, perhaps with some "inspiration" from the USN Virginia/Seawolf and LEU reactor equipped Barracuda (Say, didn't you mention that DSME had shown the press some working reactor prototype?). Last edited by Alfan; 30-04-2016, 08:45 PM. All times are GMT-8. This page was generated at 03:04 PM.